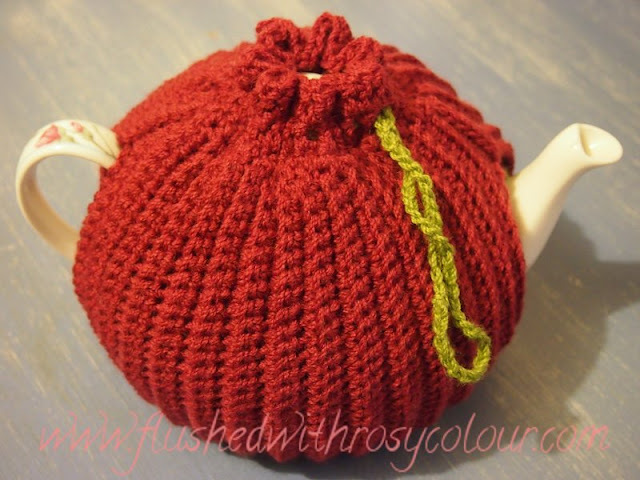 I finally finished this two way tea cosy on my birthday, it was fairly simple to do. I've started writing the pattern down so I can hopefully get it pattern tested very soon. the main side of two way tea cosy, "Olives & Wine"
I chose these colours mainly because this is what I mostly have left of the classic wool from Bendigo. My mum gave me the wine coloured wool called 'cognac', but it wasn't soft enough to make the beanie and scarf set she thought it would be good for. So some of it has now been made into this tea cosy! I purposefully made this one plain with stripes instead of flowers, in case a tea drinker I know of would prefer a cosy that's not too pretty! 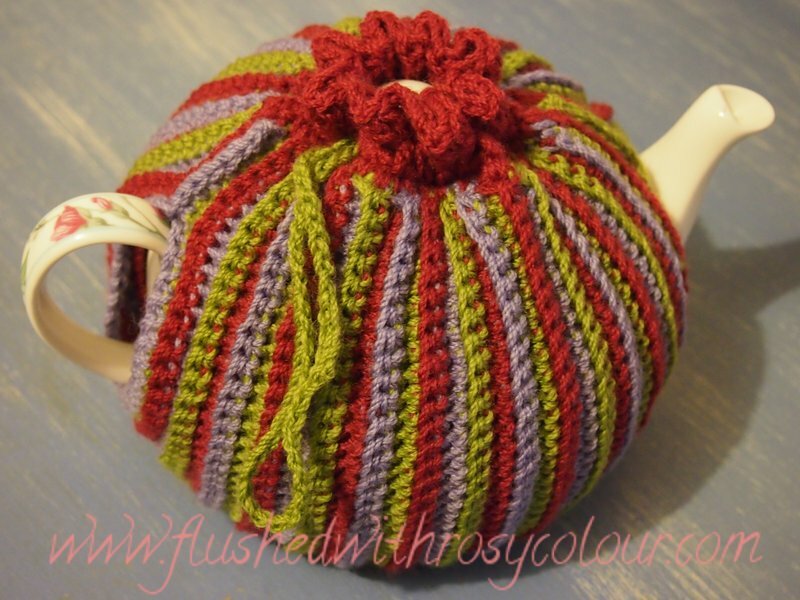 One side of the tea cosy is stripes of maroon, purple and green. Turn the cosy inside out and its all maroon. Nice and easy!